China has fined Qualcomm about $975 million for engaging in monopolistic business practices, and the chipmaker has agreed to modify some of its business practices in the country as part of the settlement. Qualcomm said it is disappointed by the results of the investigation, but will not contest the findings and will pay the fine. China’s National Development and Reform Commission had been investigating Qualcomm for engaging in possibly anti-competitive behavior by overcharging device makers in the country. 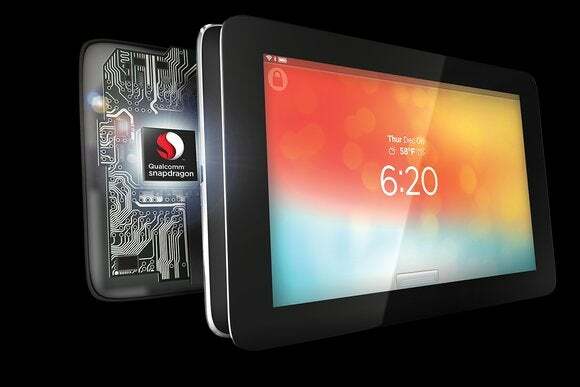 Qualcomm’s Snapdragon chips go into many smartphones, and its wireless technology is licensed for use in a majority of 3G, 4G and LTE modems. Last year the company said that the probe was disrupting its business in China, and making it harder to collect royalties. Qualcomm will likely have to renegotiate licensing deals with local companies at lower prices, analysts said in interviews conducted prior to the confirmed news that a settlement was reached. China is trying to create a favorable business environment for local device makers and semiconductor companies as the country aims to become self-reliant in technology, said Jim McGregor, principal analyst at Tirias Research. Qualcomm has no choice but to play within the controlled business environment, which is less-than-ideal for foreign players, McGregor said. Cheaper licensing rates could help Chinese companies market even lower-cost handsets, a segment where they are already taking over a growing share of worldwide smartphone shipments. Licensing and royalty business practices come under close inspection by the Chinese government, said Dean McCarron, principal analyst at Mercury Research. He cited the example of China’s approval of the Microsoft purchase of Nokia last year. One of the conditions for approval was Microsoft not increasing the patent licensing fees following the acquisition. For Qualcomm, it’s just best to pay the fine and move on. “You wouldn’t want something like this hanging over you for years,” McCarron said.